Here at ChiIL Live Shows we love covering a wide range of stories, especially those about groups underrepresented in theatrical productions, and those that foster greater understanding in audiences. BOY is about the beauty of finding love, the complexity of gender identity, and the consequences of the choices we make for those we love. In the 1960s, an accident during a routine medical procedure causes a well-intentioned doctor to convince the parents of infant twin boys to raise one as a girl. Although Adam transitions back to a male identity at age 14, the repercussions of his parents’ choice continue to reverberate. Everyone involved struggles to connect, stuck between hope for the future and uncertainty about the past. BOY picks up Adam’s story as a young adult in the 1980s discovering true love for the first time, while memories of his childhood open a window into what it’s like to grow up in an identity that doesn’t fit. In January 2017, National Geographic declared society to be in the midst of a “gender revolution,” with issues affecting transgender and intersex people pushing to the forefront of news cycles and legislative agendas alike. Inspired by true events, BOY takes audiences to the center of this revolution by telling one of the stories at its roots—the story of Dr. John Money, who co-founded America’s first gender identity clinic 50 years ago, and his signature patient, David Reimer. 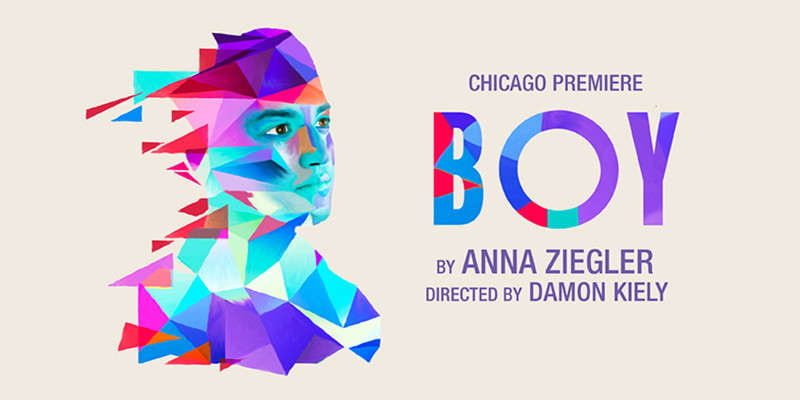 TimeLine brings Chicago its first view of Anna Ziegler’s BOY, an “insightful, gut-wrenching, and beautiful play” (Talkin’ Broadway) that “has both the white hot issue of gender identity and the simple fact that it’s very, very good in its favor” (Huffington Post). Ziegler is an award-winning playwright whose credits include PHOTOGRAPH 51 (produced in the West End starring Nicole Kidman), ACTUALLY (produced most recently Off Broadway at Manhattan Theatre Club), and THE LAST MATCH (now playing Off Broadway at Roundabout Theatre). The Outer Critics Circle nominated BOY for the 2016 John Gassner Memorial Playwriting Award. TimeLine Theatre’s Chicago premiere of BOY by Anna Ziegler (from left), directed by Damon Kiely, will feature Stef Tovar, Theo Germaine, Emily Marso, Mechelle Moe, and David Parkes. The cast of BOY (listed with the pronouns each uses) features Stef Tovar (he/him) as Doug; Theo Germaine (they/them) as Adam Turner; Emily Marso (she/her) as Jenny; TimeLine Company Member Mechelle Moe (she/her) as Trudy; and TimeLine Company Member David Parkes (he/him) as Dr. Wendell Barnes. The production team for BOY includes Arnel Sancianco (Scenic Designer, he/him); Samantha Jones (Costume Designer, she/her); Jared Gooding (Lighting Designer, he/him); Karli Blalock (Sound Designer, she/her), Archer Curry (Properties Designer, he/him); Charlie Baker (Intimacy Designer, he/him/they/them); Avi Roque (Assistant Director, they/them); Molly Weaver (Production Assistant, they/them); Kara Rodriguez (Lobby Artist, they/them); and Jireh Drake (Lobby Artist, they/them); with TimeLine Associate Artist Josephine Kearns (Dramaturg and Gender Identity Consultant, she/her) and Luci Kersting (Stage Manager, she/her). TimeLine’s Chicago premiere of BOY is supported in part by The Ensemble Studio Theatre/Alfred P. Sloan Foundation Science & Technology Project and The Chicago Community Trust. PREVIEWS: Wednesday 1/10 through Saturday 1/13 at 8 p.m.; Sunday 1/14 at 2 p.m.; Tuesday 1/16 at 7:30 p.m. and Wednesday 1/17 at 7:30 p.m. OPENING NIGHT: Thursday 1/18 at 7:30 p.m. 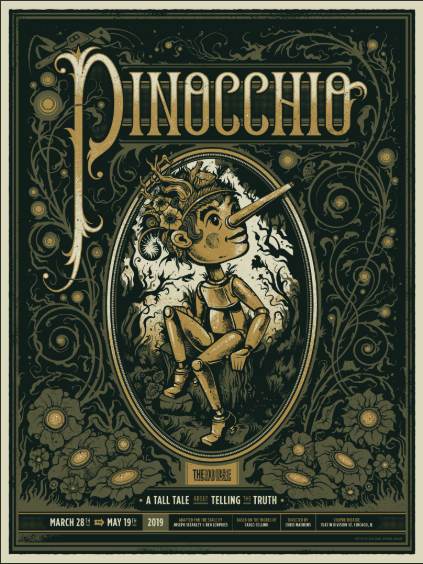 REGULAR RUN, through March 18: Tuesday (3/13 only), Wednesday, and Thursday at 7:30 p.m. (except Wednesday 2/14 at 8:30 p.m.); Friday at 8 p.m. (except no performance 3/16); Saturday at 4 p.m. and 8 p.m. (except no performance 1/20 at 4 p.m.); and Sunday at 2 p.m.
— Post-Show Discussion: A brief, informal post-show discussion hosted by a TimeLine Company Member and featuring the production dramaturg and members of the cast on Wednesday 1/24, Sunday 1/28, Thursday 2/1, Thursday 2/15, Wednesday 2/21 and Sunday 3/4. — Pre-Show Discussions: Starting one hour before these performances, a 30-minute introductory conversation hosted by a TimeLine Company Member and the production dramaturg with members of the production team on Wednesday 2/7 and Sunday 2/18. — Captioned Performance: An open-captioned performance with a text display of words and sounds heard during the performance on Saturday 2/10 at 4 p.m. Partial support of open captioning is provided by Theatre Development Fund. — Company Member Discussion: A post-show discussion with the collaborative team of artists who choose TimeLine’s programming and guide the company’s mission on Sunday 2/11. — Sunday Scholars Panel Discussion: A one-hour post-show discussion featuring experts on the themes and issues of the play on Sunday 2/25. Discounted rates for groups of 10 or more are available. Ticket buyers age 18-35 may join TimeLine’s free MyLine program to obtain access to discounted tickets, special events and more. Visit timelinetheatre.com/discounts for more about Blue Star, MyLine and other available discounts. BOY will take place at TimeLine Theatre, 615 W. Wellington Ave., Chicago. TimeLine Theatre is located near the corner of Wellington and Broadway, inside the Wellington Avenue United Church of Christ building, in Chicago’s Lakeview East neighborhood. Anna Ziegler (Playwright) is an award-winning playwright whose play PHOTOGRAPH 51 won London’s 2016 WhatsOnStage award for Best New Play. It has also been selected as a “Best of the Year” play by The Washington Post (twice) and The Telegraph. Her play BOY was nominated for the 2016 John Gassner Award by the Outer Critics Circle. 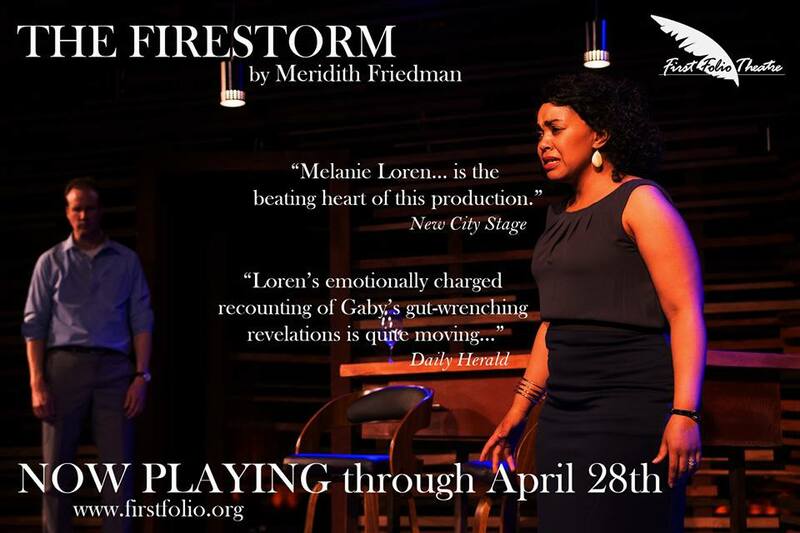 In 2017, the Williamstown Theatre Festival and The Geffen Playhouse presented co-world-premieres of her latest play, ACTUALLY, and The Roundabout Theatre Company produced the New York premiere of THE LAST MATCH. Her work has been produced on the West End (PHOTOGRAPH 51, starring Nicole Kidman) and at The Old Globe, Seattle Repertory Theatre, The Ensemble Studio Theatre, The Magic Theatre, Playwrights Realm, City Theatre, and many more, and developed at the Sundance Theatre Lab, The O’Neill Playwrights Conference, Soho Rep and the Cape Cod Theatre Project, among others. She is currently writing a television pilot for AMC/Sundance and a screenplay for Scott Free Productions. Oberon Books has published a collection of her work entitled Anna Ziegler: Plays One. Damon Kiely (Director) is the Chair of Performance at DePaul’s Theatre School and the author of How to Read a Play: Text Analysis for Directors (Routledge 2016). His production of HANK WILLIAMS: LOST HIGHWAY won the Jeff Award for Musical Production, Midsized. He previously directed WEEKEND by Gore Vidal for TimeLine Theatre. Kiely served as Artistic Director for American Theatre Company and has directed for American Blues, American Theatre Company, Route 66, A Red Orchid, Next and many others. His original plays THIEVES LIKE US and THE REVEL were produced by The House Theatre of Chicago. Prior to moving back to Chicago, he taught, produced, and directed in New York City. He is a winner of the 2000-02 NEA/TCG Career Directing Program, the 2000 Drama League Fall Directing Program, and the 1997 Princess Grace Award. 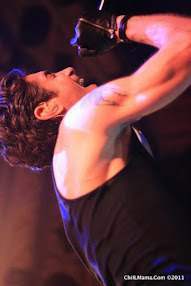 TimeLine Theatre Company, recipient of the prestigious 2016 MacArthur Award for Creative and Effective Institutions, was founded in April 1997 with a mission to present stories inspired by history that connect with today's social and political issues. To date over 20 seasons, TimeLine has presented 71 productions, including nine world premieres and 31 Chicago premieres, and launched the Living History Education Program, now in its 11th year of bringing the company's mission to life for students in Chicago Public Schools. Recipient of the Alford-Axelson Award for Nonprofit Managerial Excellence and the Richard Goodman Strategic Planning Award from the Association for Strategic Planning, TimeLine has received 54 Jeff Awards, including an award for Outstanding Production 11 times. Major corporate, government and foundation supporters of TimeLine Theatre include Alphawood Foundation, Paul M. Angell Family Foundation, The Chicago Community Trust, The Crown Family, The Ensemble Studio Theatre/Alfred P. Sloan Foundation Science & Technology Project, Forum Fund, The Joseph and Bessie Feinberg Foundation, Lloyd A. Fry Foundation, Illinois Arts Council Agency, Laughing Acres Family Foundation, A.L. and Jennie L. Luria Foundation, MacArthur Fund for Arts and Culture at Prince, The Pauls Foundation, Polk Bros. Foundation, and The Shubert Foundation.